Whether you’re looking for a delicious pastry, gelato, or a gourmet popsicle! Downtown Ocean Springs is filled with sweet treats within walking distance of The Inn! Check out our comprehensive list below for coffee shops, candy shops, and pastry shops downtown. Right across the street from The Inn, The Candy Cottage is like the candy shops of old and is filled to the brim with an incredible assortment of traditional and handmade chocolate and candy treats. Their signature pecan log is famous around town…don’t forget to try Southern signature desserts like divinity or pralines. Bring some home in their perfectly wrapped gift packages! French Kiss is a coffee shop, bakery, and pastry shop all rolled into one! We recommend their strawberry bavarian miniature cakes pictured above…if you are planning for a celebration, make sure and talk to staff about ordering a specialty cake handcrafted for your special occasion…it’s also open late on the weekends, so you can stop in for a late night gelato after drinks downtown! Bright-Eyed Brew Co. is known as THE place to get nitro-brew and cold brew coffee on the MS Gulf Coast! They also serve specialty Belgian waffles! Owned and operated by a charming husband and wife team, Bright-Eyed is sure to lift your spirits! Pictured above is an iced chai-chatty and a liege waffle with dark chocolate and powdered sugar…we’re drooling already! Caboose Cones is one of the most magical places in downtown Ocean Springs! Located in a red caboose in the backyard of its owners downtown, this snow cone stand boasts New Orleans-style snow cones, picnic seating area, and even a playscape for the kids! This is a classic local spot to grab a cold, sweet treat during the summer after a bike ride or beach trip. Yum! We might be biased, but Tatonut donuts are the best donuts on the MS Gulf Coast! Ocean Springs is known for this family-owned donut shop with delicious donuts made from potatoes! Don't knock it until you try it! Their wide assortment of donuts brings crowds out daily! Get there early to beat the lines! We suggest a “Katrina piece”—a glazed extra piece named after Hurricane Katrina. Or, when in season, their King Cake Donut sprinkled with the colors of Mardi Gras—green, purple, and gold! This artisan popsicle stand offers over 50 different flavors of ice cream and juice popsicles made with all natural spices and flavors! They even have white or dark chocolate for you to dip your special pop into if your heart so desires! 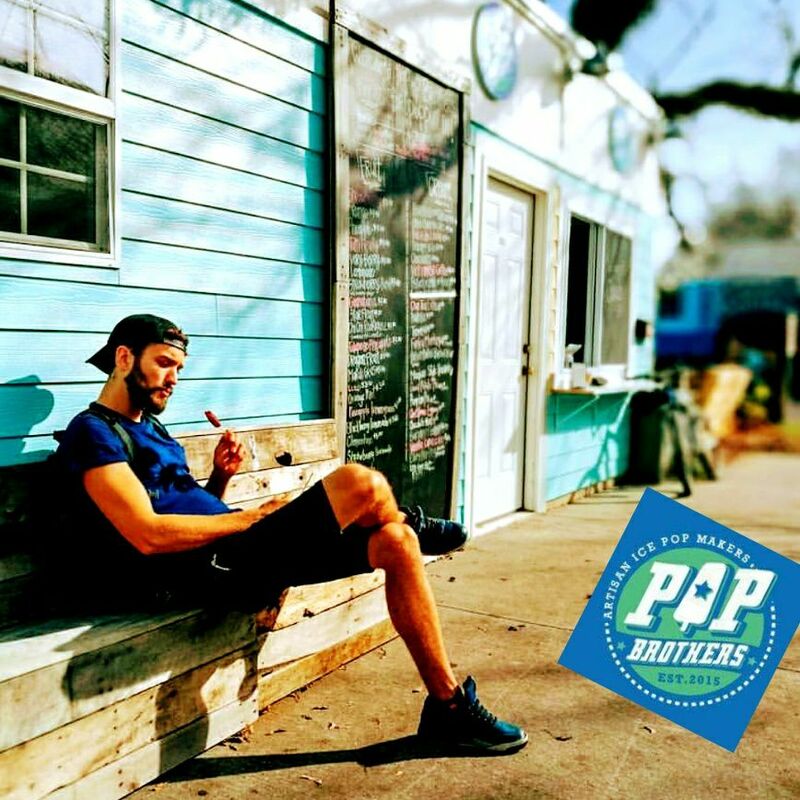 Open year round, Pop Brothers is the perfect spot to stop with the kids downtown or after a hard day of shopping in downtown Ocean Springs for a sweet pick me up!